Congrats again to Brinleigh R., the winner of the Emile Henry pizza stone! Thank you to everyone who participated in the giveaway and shared your favorite family food traditions with me. And now, on to a much needed new post! There are two reasons why I love ricotta gnocchi. First, it is delicious. The mixture of ricotta and parmesan give the dumplings a tender texture without being mushy. Second, I am lazy. Some nights I can’t even fathom the thought of busting out the ricer to make potato gnocchi. While you still need to let the ricotta drain for about 30 minutes, this is a very hands off step. Once you get used to rolling, cutting, and shaping the dough, I think that this gnocchi could even be made on a weeknight. Gnocchi made out of ricotta cheese and a little bit of flour is actually called gnudi (yep, that’s pronounced “nudie”) And that’s about where my knowledge of those little Italian dumplings ends because I accidentally slept through my gnocchi workshop class. True story. I still haven’t forgiven myself or my iPhone alarm, which I partially blame by default. I may not have traditional technique down, but I’ve tried this recipe enough times to pick up a few common sense pointers. The trick to working with the dough is making sure that everything is well floured. 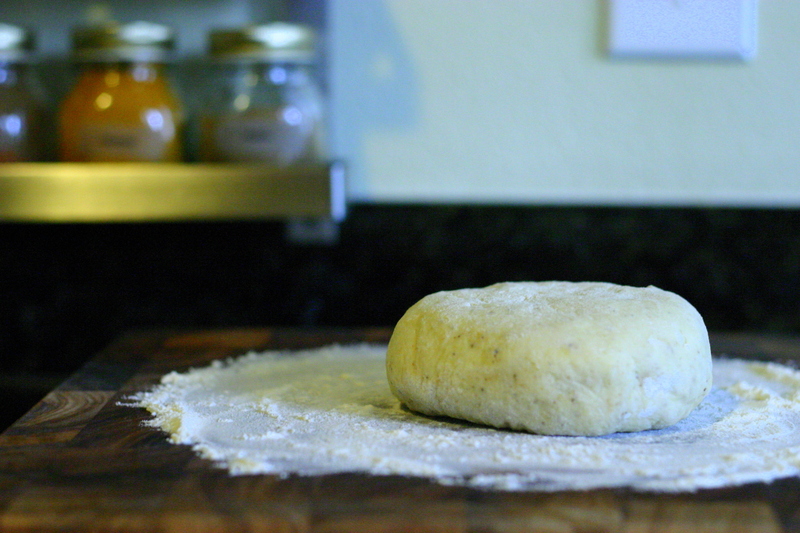 You should be able to gently work the dough without it sticking to your fingers like gum. I always keep a little ramekin of flour within arm’s reach just in case. If things get sticky, just use a little more flour. I also find it helpful to work with small amounts of dough at a time. If you try to roll out a quarter of the dough at once, things are probably going to get a little dicey. I like to cut the dough in eight even pieces and work with two pieces at a time. 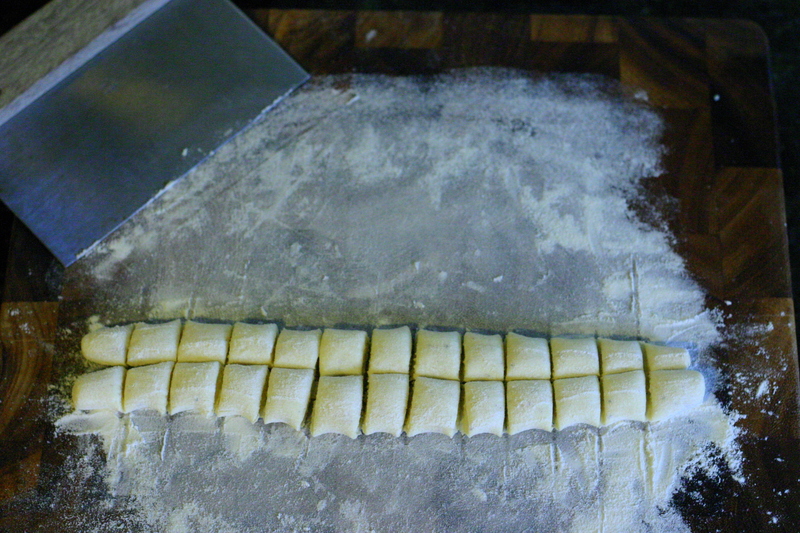 This seems to make the job much more manageable, especially if this is your first time working with gnocchi dough. Before I started cooking a lot, I never really understood the importance of a bench scraper. Since I am more of a cook than a baker, the idea of having a designated kitchen gadget for maneuvering pastry dough didn’t quite resonate with me. But now I see the light. I use my bench scrapper every day, to cut dough, transfer food from the cutting board to the stove top, and even as a spatula sometimes. It really comes in handy when you are working with gnocchi dough. If you do not have a bench scraper, you can always use a normal knife to cut the dough, and use a spatula to transfer the dumplings. 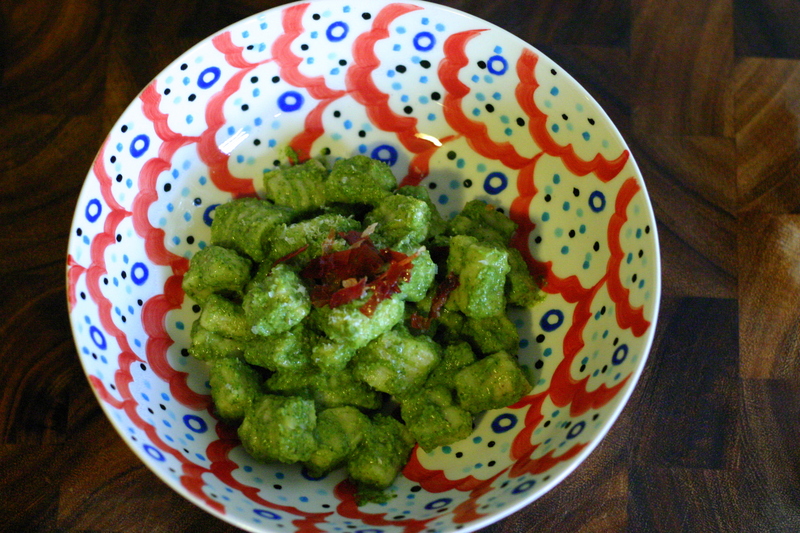 Once you cut the gnocchi into little pillow shapes, you can boil and eat it just like that. 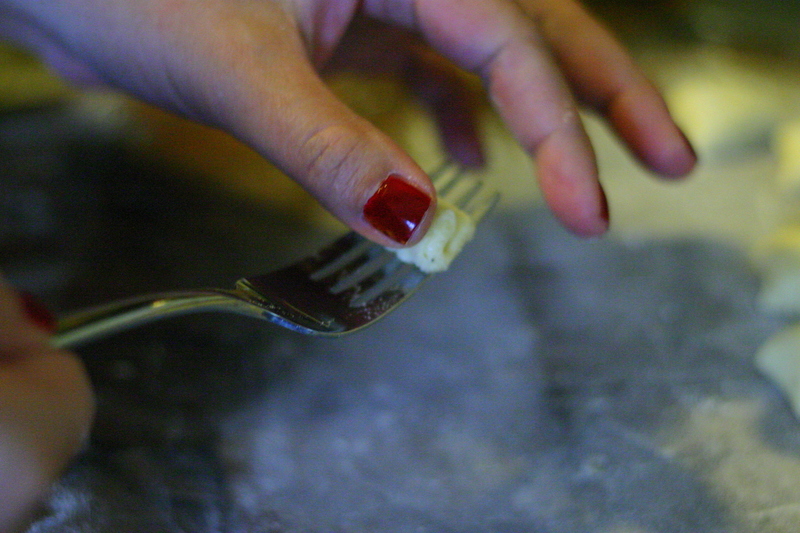 But I love how traditional gnocchi have all those ridges and crevices that the sauce gets stuck in. I find it so much more flavorful and visually appealing. You can definitely purchase an inexpensive gnocchi board if you wish, but I am not a huge fan of “unitasker” gadgets. 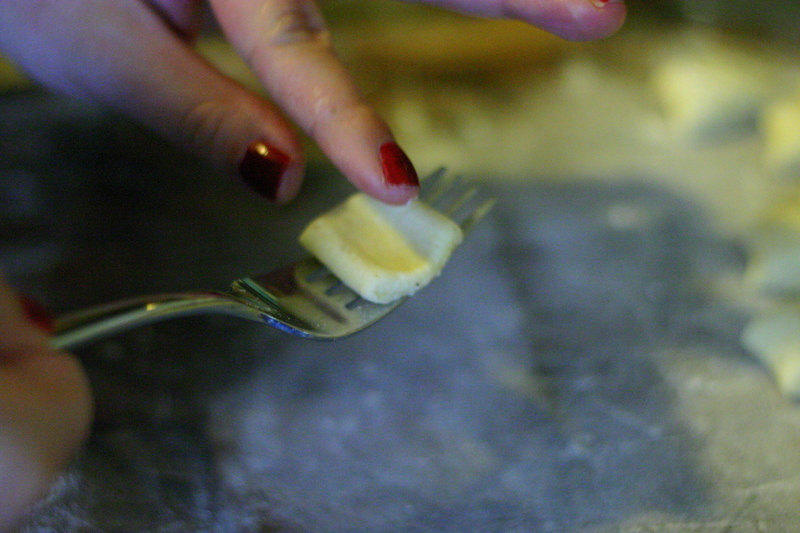 In my opinion, rolling the gnocchi over the tines of a normal kitchen fork actually achieves the same effect. Of course it’s going to look a little less professional, but who’s judging! Getting the hang of the rolling motion may be a little strange at first, so just stick with it until it feels comfortable. I even find it slightly therapeutic! But I’m a little weird that way. You can use any kind of sauce with this gnocchi. Whenever I have leftover greens (arugula, kale, parsley, spinach, or basil), I make pesto or salsa verde. This time, I ended up making a spinach and walnut pesto and topped it with some crisped prosciutto left over from a party. Really though, you can make whatever you want–brown butter and sage, ragu, pesto, marinara, anything that strikes your fancy. Place ricotta cheese in a strainer lined with a couple coffee filters or paper towels over a bowl. Place in the fridge and let drain for 30 minutes. Stir together the ricotta cheese, eggs, Parmesan cheese, salt, pepper, nutmeg, and garlic powder (if using) in a large bowl until evenly combined. Mix in 1 cup of flour. Add additional flour if needed to form a soft dough. You should be able to touch the dough without it sticking to your fingers. Divide dough into 8 even pieces, and roll each piece into a round ball. 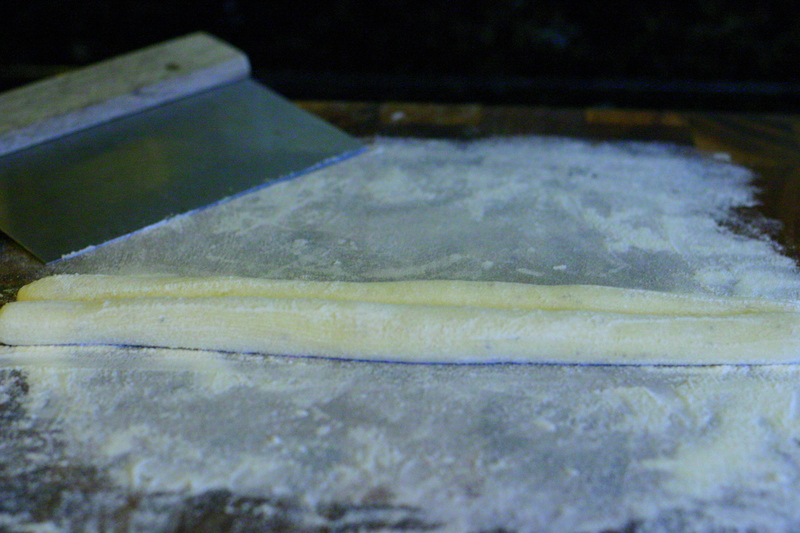 On a well floured surface, roll each piece into a rope about 1/2″ thick. 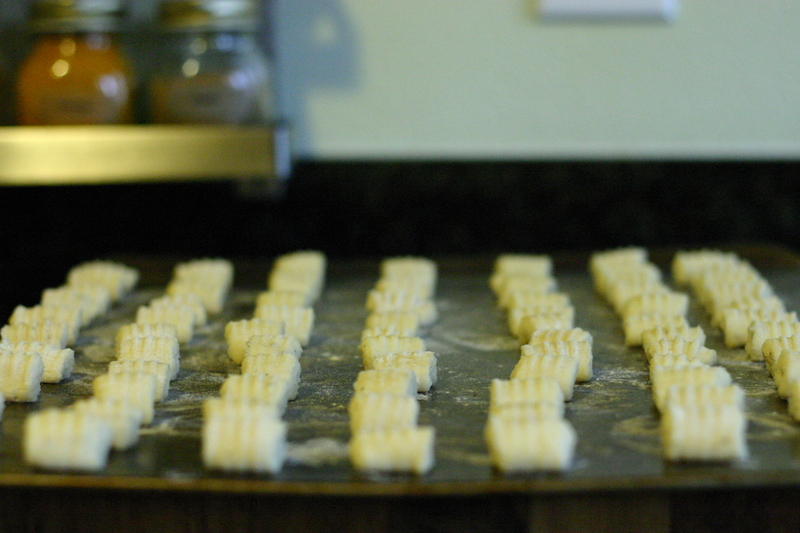 Cut each rope into 1″ pieces and place the gnocchi on a lightly floured baking sheet. Bring a large pot of lightly salted water to a boil. 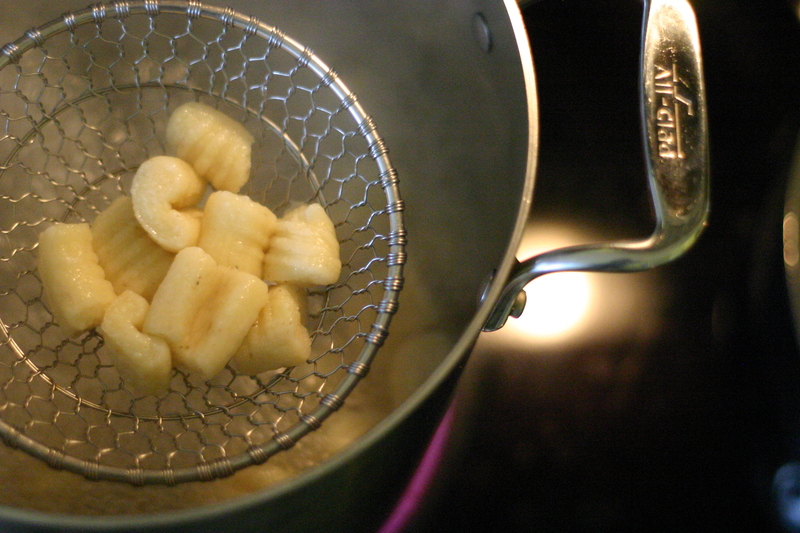 Working in batches to avoid overcrowding, boil the gnocchi until they float to the top of the pot, about 1-3 minutes. 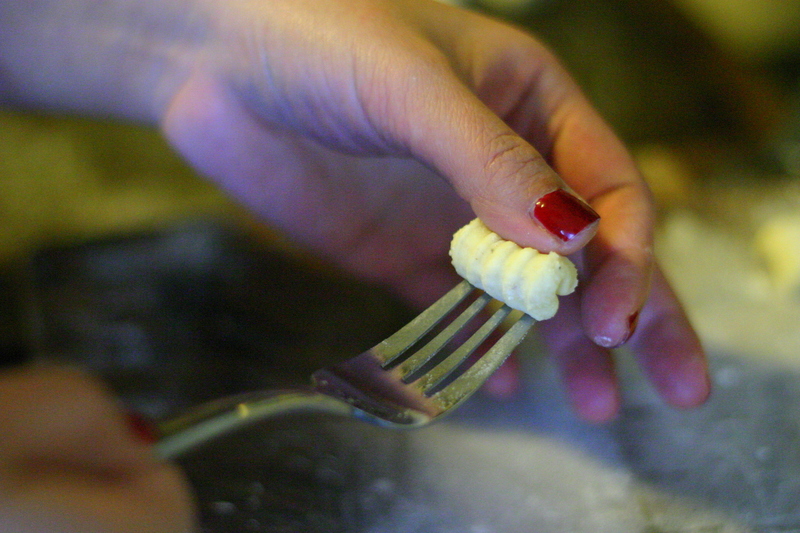 Use a slotted spoon or spider to lift the gnocchi out of the water and set aside. Top the gnocchi with your choice of sauce. *Toast walnuts in a dry skillet over medium heat until fragrant and lightly brown. Shake the pan or stir the walnuts constantly to avoid burning. Pulse the garlic and walnuts in a food processor or blender. Add spinach, lemon juice, and Parmesan cheese and blend, while slowly drizzling in olive oil.